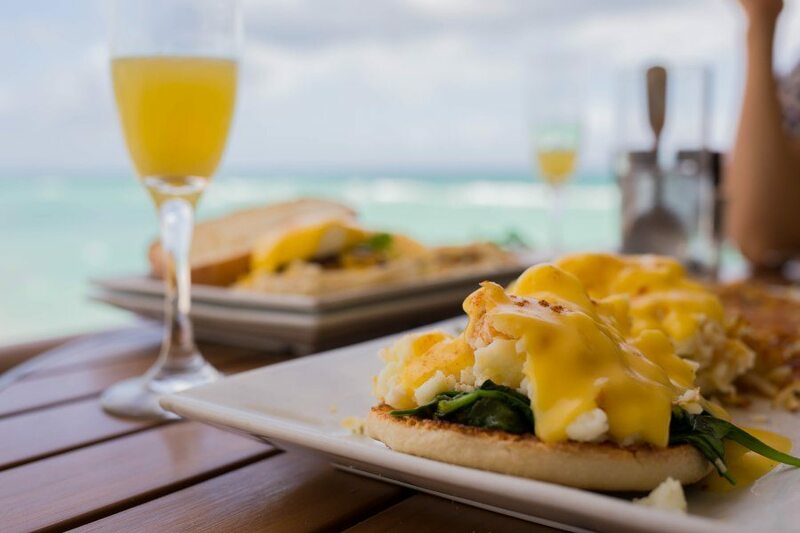 There are a ton of great brunch spots in South Florida but sadly very few that come with a straight ocean view. Well now you can officially add one to the list of places to check out. 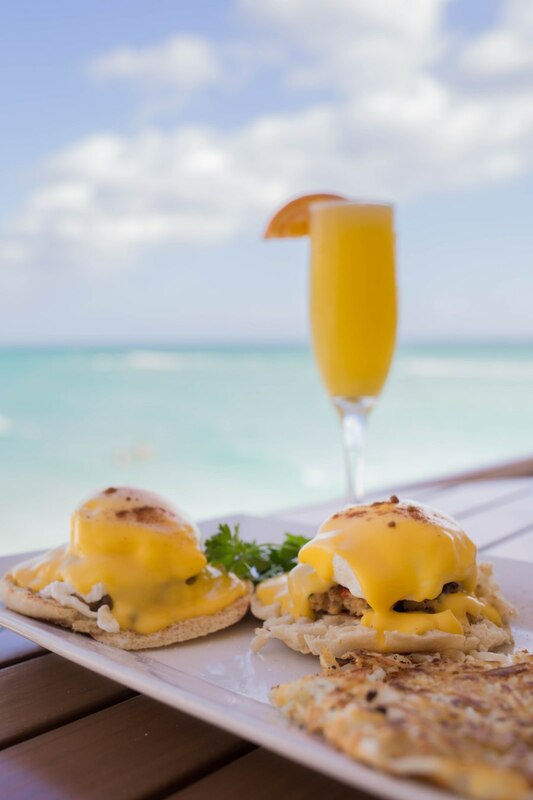 The Beach Bar at Newport Pier is the only pier restaurant in Miami/Dade county and they are now officially open for Brunch. 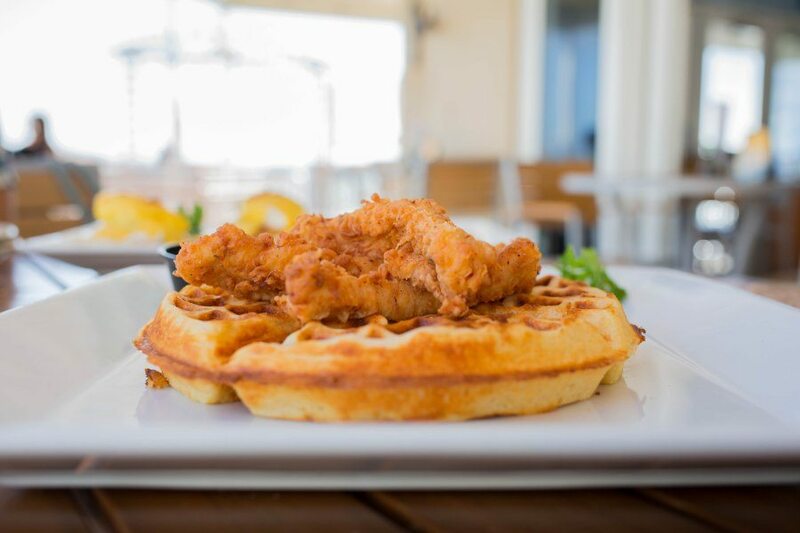 While they have been serving up lunch for a while now they just launched a new brunch menu so you can now enjoy a tasty brunch overlooking the ocean. It doesn’t really get much better than that. We started off with cocktails of course because it’s brunch, so why not. 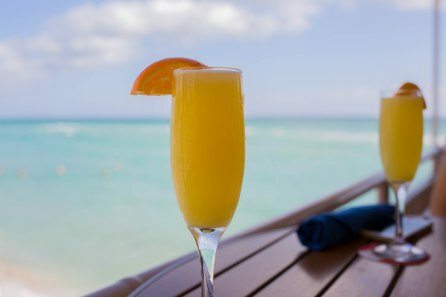 The Beach Bar offers bottomless mimosas and bloody Mary’s for brunch. If you want something more tropical they have a mango Bellini or if you're looking for something non-alcoholic they have a selection of fresh juices as well. 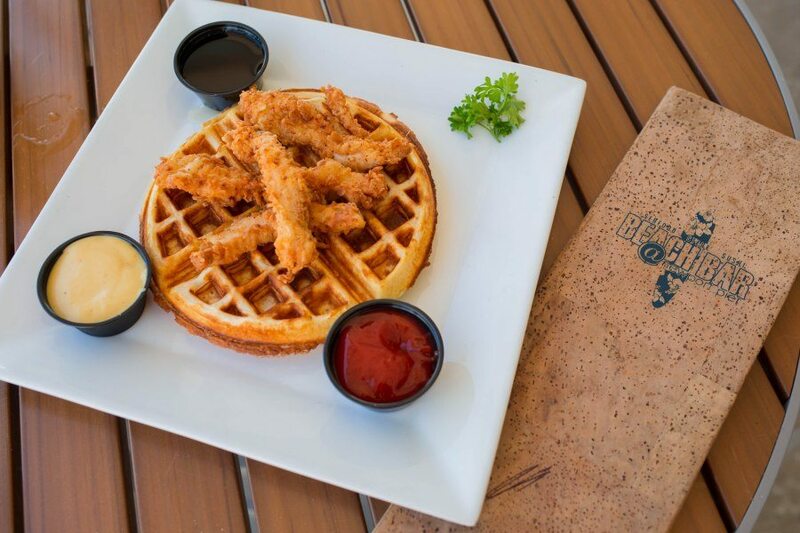 We wasted no time and dove right into brunch with chicken and waffles because you can’t go wrong there, and they did not disappoint. It was a perfectly fluffy Belgian waffle with crispy chicken strips. I loved that not only did it come with maple syrup but also honey mustard for the chicken strip loving people. If crab cake Benedict is on the menu you better believe I’m getting that for sure. 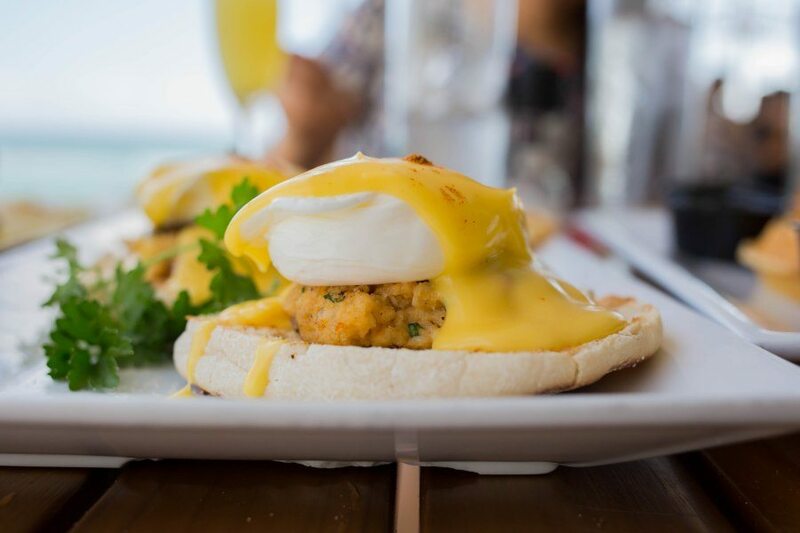 It is the perfect dish for a seaside brunch in Florida and I am a total sucker for a perfectly cooked poached egg and a well seasoned crab cake and this dish had both of those things. 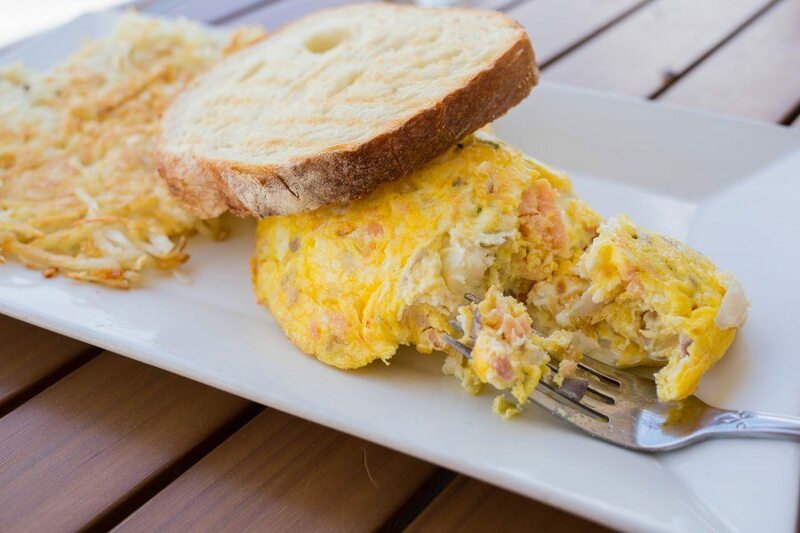 If crab isn’t your cup of tea but you are looking for some seafood, the smoked salmon omelet was nice and fluffy and had smoked salmon, red onion, cream cheese, and chives. I loved that this dish came with a really tasty piece of sourdough bread. If you are looking for something a tad bit lighter they offer an egg white and spinach egg Benedict as well. 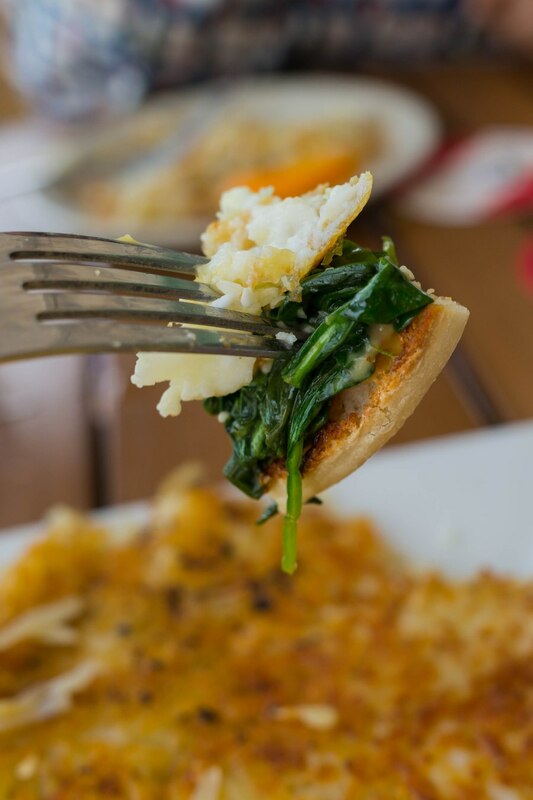 The fresh spinach was sauteed with garlic so it had a lot of flavor to go with the egg whites and fear not you still get the traditional hollandaise sauce that typically comes with eggs Benedict so there is a little bit of guilt in there. If you aren’t one for a big breakfast you can go the simple route too and just get some eggs any style with bacon and potatoes. I can appreciate that they kept their menu small and didn’t get carried away with too many brunch options but still have something for everyone and if all else fails you can always order off their regular lunch menu as well. And lastly…the view is well….gorgeous! They have plenty of outdoor setting most of which is in the shade so you can enjoy the ocean view without the direct Florida heat. Brunch is available on Sundays from 10 a.m. – 1 p.m. 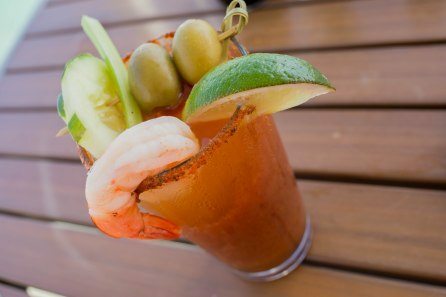 Located next to the Newport Beachside Hotel & Resort, Beach Bar @ Newport Pier features a blend of American classics, fresh seafood, made-to-order sushi and hand-crafted cocktails. 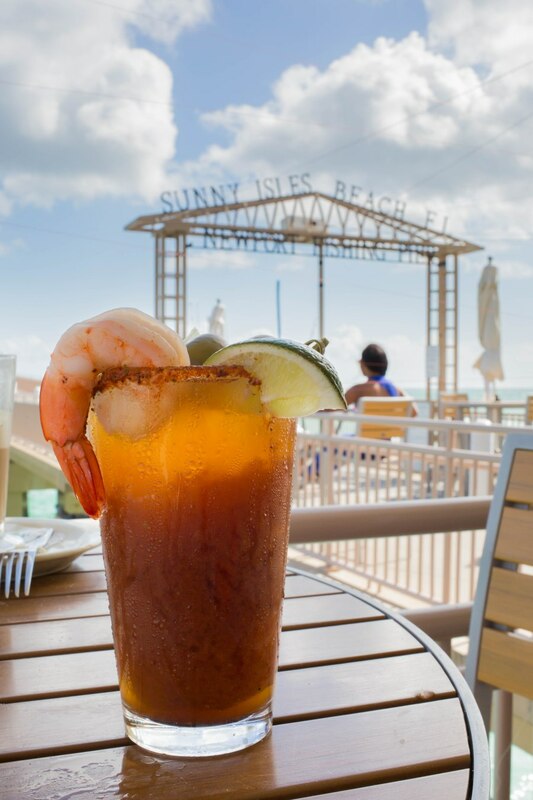 As Dade County’s only pier restaurant, Beach Bar offers a full-service bar and lounge paired with stunning waterfront views of the Atlantic Ocean. 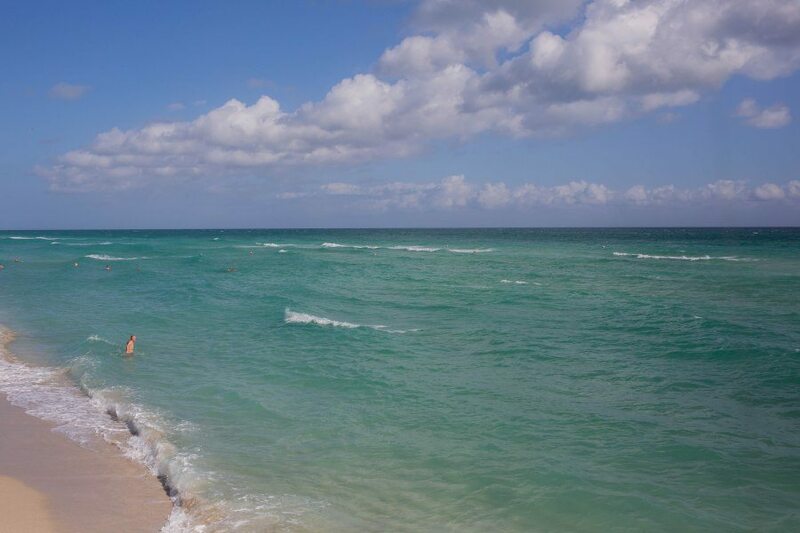 Founded by Old School Hospitality, South Florida’s premier restaurant group, Beach Bar signals the latest in waterfront dining in Sunny Isles Beach. Beach Bar at Newport Pier is open daily from 11 a.m. to midnight. 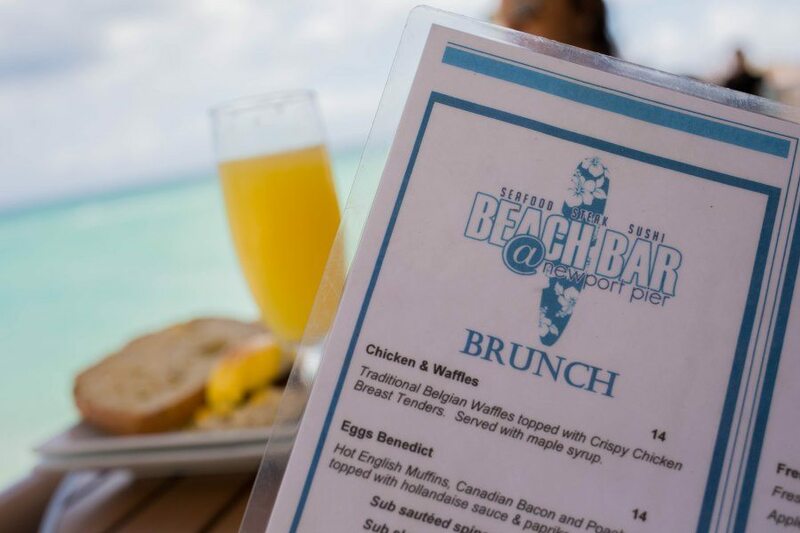 For more information, visit https://beachbarnewportpier.com/ or call 305.957.2110 to make a reservation.